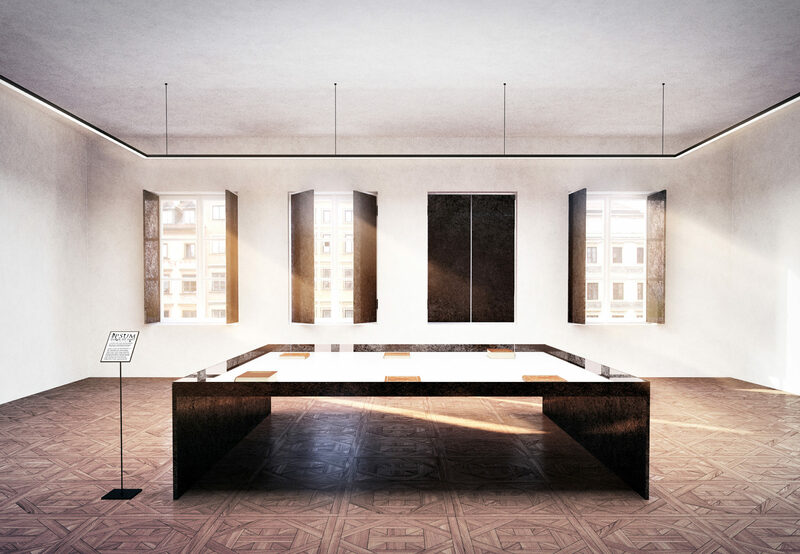 In the Competition for the development of a revitalisation concept of the headquarters of the Museum of Literature. The nature of the Old Town in Warsaw as it is today along with its unique reconstruction history create a powerful context for all investment activities in the area. 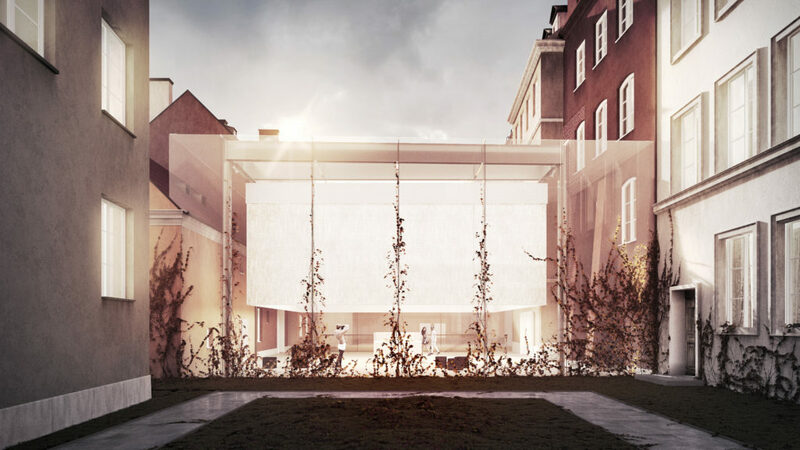 Hence, the extension of the Museum of Literature located next to the eastern wall of the Old Town market square requires particular respect for the landscape that was preserved there. At the same time, the creation of an attractive space that will help attract new visitors to this establishment is also beneficial. 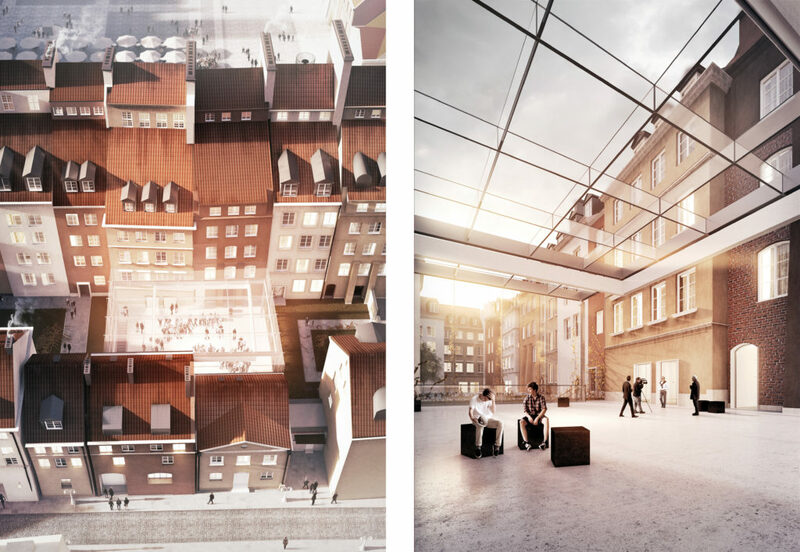 The most important aspect in this concept is the incorporation of contemporary architecture into Warsaw’s Old Town fabric. 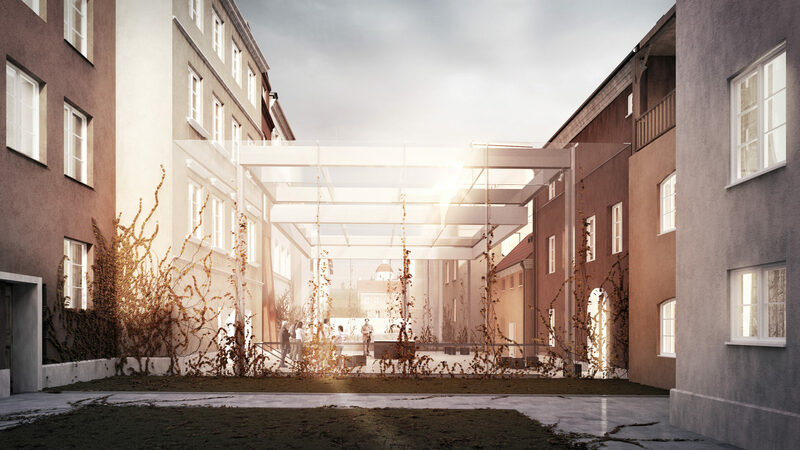 The revitalisation concept of the Museum of Literature headquarters involves the creation of a new heart of the building in the form of courtyard roofing, the light structure of which will enable the best possible exposition of the courtyard area along with its historic envelope. The use of glass beams in the construction allows reducing obstruction of the town house facades in the market square to a minimum and for this piece of contemporary architecture to create a neutral backdrop for the existing historic buildings. 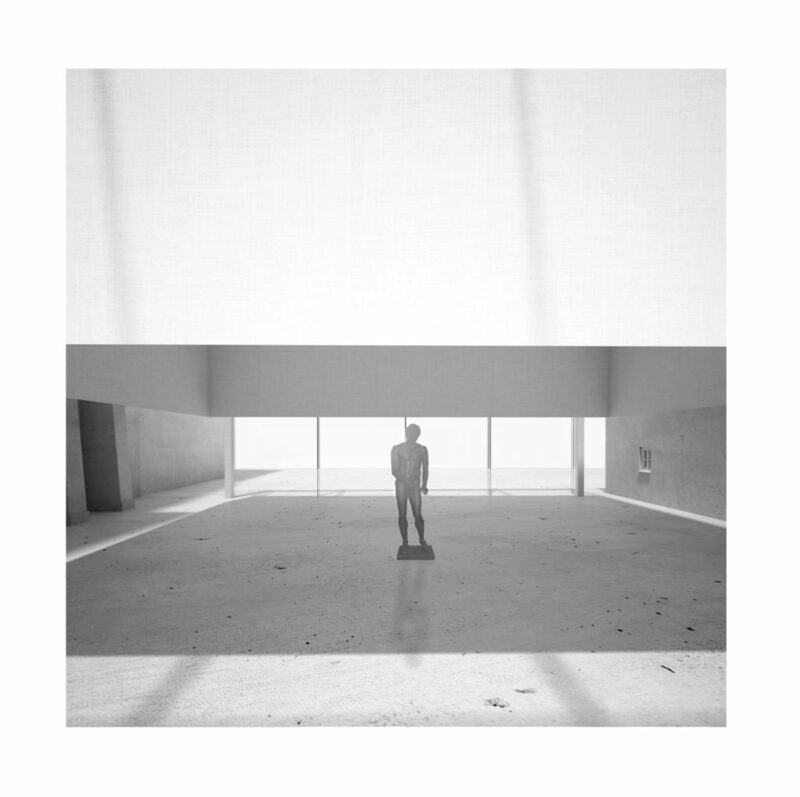 The atmosphere of the new courtyard interiors can be created using a light, almost paper-thin curtain that subtly designates the central multifunction area. The curtain drop system at the top enables the level of the curtain and the degree of openness of relevant walls to be adjusted to the type of events that are being held. The central area can be completely blacked out and separated, creating an enclosed cube, or it can be partially open, ideal for organising film screenings, vernissages, and exhibitions with the possibility of adjusting to the size of the audience and the organiser’s requirements.